The Caribbean Council is recognised as a leading source of consultancy and advisory services covering the whole Caribbean, the Guianas and Central America- from Guatemala to Panama. With decades of experience in supporting investment and engagement across the region, our world-leading expertise helps clients to succeed in understanding local markets- their drivers, the competitive landscape, the opportunities as well as the challenges, risks and potential pitfalls. We also sit at the centre of an unrivalled network of trusted consultants and associates working across key areas of industry and government in every country and territory across the region, and have affiliates in Brussels, Geneva, Miami and Washington DC. The Caribbean and Central America is a vibrant and growing region, presenting opportunities for investors across many sectors, from established industries such as tourism & financial services, to energy & extractives, FMCG, agriculture and resilient infrastructure. 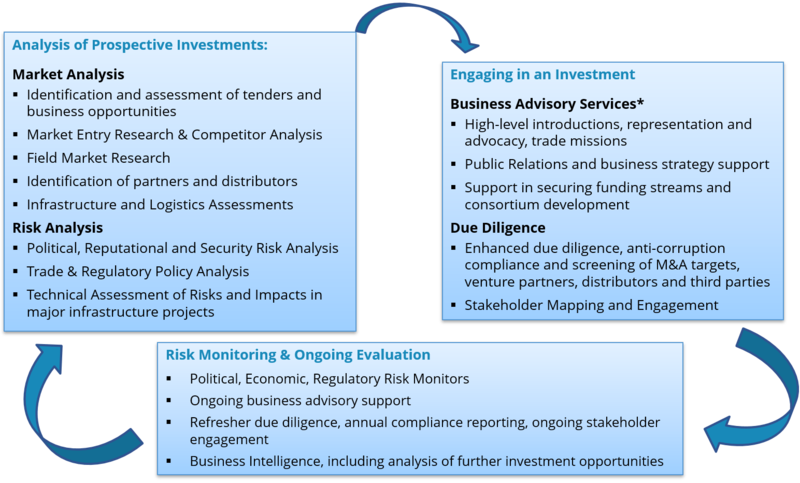 It is also complex and richly diverse, with a highly varied and multi-layered political and business environment, which can make it uniquely challenging to companies seeking to invest for the first time, or expand and maintain current operations. Reliable, accurate information is also often scarce to come by, which can slow or frustrate investment decisions which stand to bring real benefits, both to investors, and the economies of the region. Combining up-to-the-minute political and business intelligence from our source network with expert insight from our experienced in-house analysts, we have a track record of success, solving complex problems and enabling our clients to navigate the region’s challenging business environment with confidence.